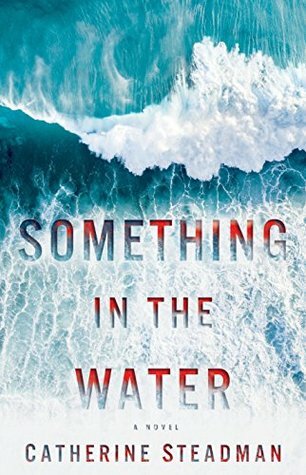 Something In The Water by Catherine Steadman is a thriller that certainly had an opening that should grab readers right away, the main character digging a grave. After finding out that there would be a need for a grave readers jump back in time to find out just what led to that event. Erin and Mark seem to be very much in love and excited to be planning their wedding and honeymoon. 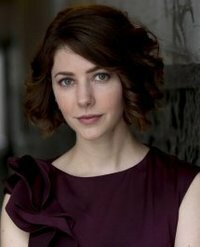 Erin is a budding filmmaker working on a documentary in which she’s interviewing criminals and Mark a successful investment banker. However when Mark loses his job that is where things start to get a little shaky in their perfect bubble. With the honeymoon already set to happen Erin and Mark agree to set their troubles aside and still go on the vacation to Bora Bora. Sun and surf and adventure seems to be just what the couple need to bring them right back together. When out scuba diving though they make a find in the water that will lead them down a very dangerous path. Something In The Water was actually very engaging and kept the pages turning rather easily as the events unfolded. For me though as much as I liked finding out more and more I also struggled some with liking Erin, she would get a bit frantic which I would sometimes find annoying. If it really weren’t for those moments though I would have rated higher than 3.5 stars since the story was one that was rather fun to watch unfold and with this being a debut novel I would certainly be interested in reading more in the future. It sounds like an intriguing read! Lovely review,Carrie, as usual! Great review! I love the book trailer, too. Great review Carrie. Sounds like a good book for a debut. It always helps when the characters are likable. Great review, Carrie. This sounds good and I like the idea of a story set on an exotic island. Sorry to hear about Erin’s portrayal though.